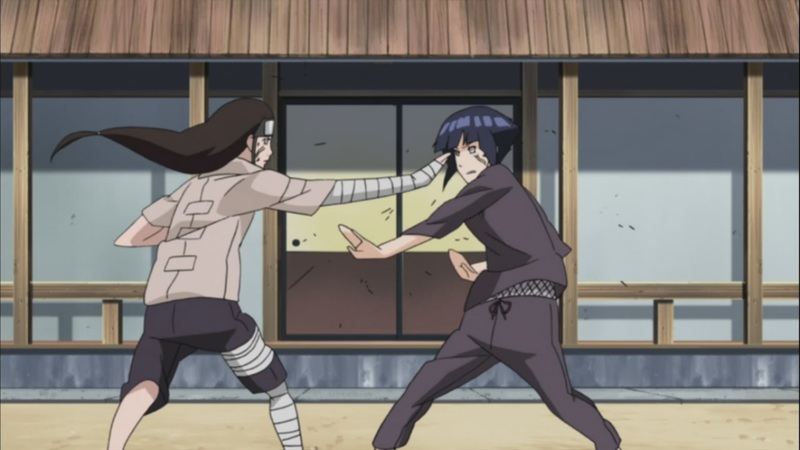 Naruto Shippuden 306 has another filler, it starts with Hinata and Neji sparring hard, she’s asked by Sakura if she wants to go to Tsunade’s Hokage Festival, which she really wants to go with Naruto. 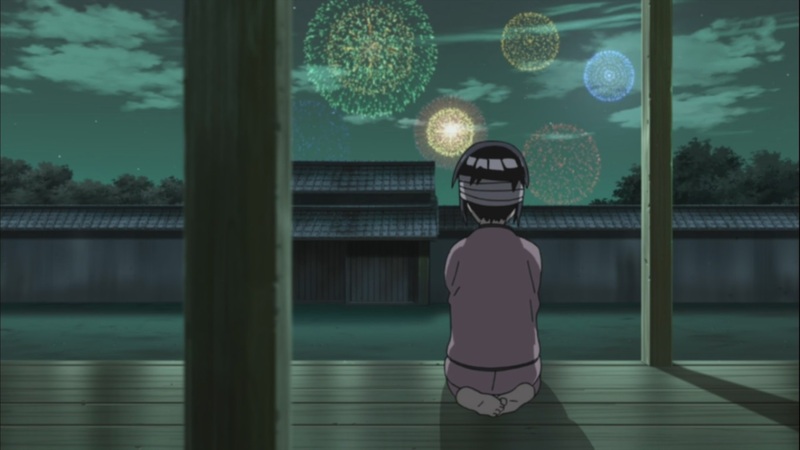 Unfortunately she strains her eyes and thus Neji challenges himself to go and get a substances in order to quickly help with Hinata’s eyes so she can go and look at the fireworks. 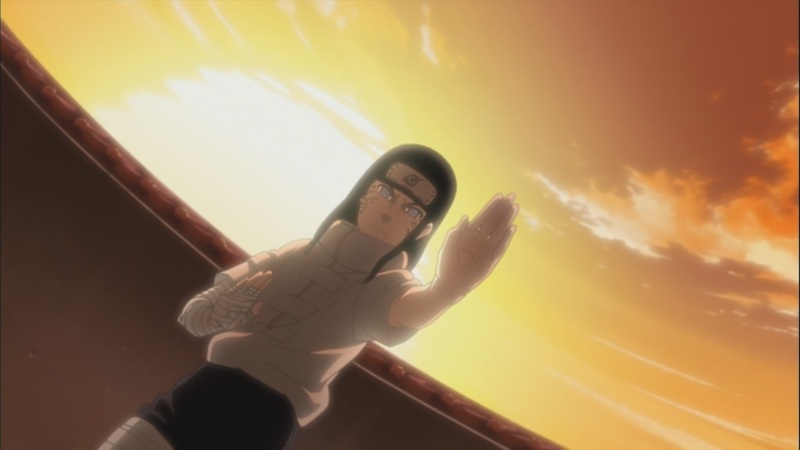 Naruto Shippuden 306 begins while Hinata trains for the Senbon Sparring, Neji shows up to tell her that he will train her instead of a person from the head since they’re out at this point. They quickly begin, Hinata doesn’t give up so easily, she keeps on going till it’s the afternoon, and quickly night time. She keeps on going. Next day she meets Sakura. When Sakura touches her, she’s quickly escapes her hand, Sakura notices that she’s bruised all over the place, she asks who did this, Hinata tells her that it’s for a clan thing where she needs to become strong. Sakura quickly tells her that she wanted to get her to come out with her for the fireworks when Tsunade finally becomes the Hokage. She needs her there so she can stay with Naruto while Sakura can be with Sasuke. She’s quickly embarrassed, but after a bit she tells Sakura that she’s definitely coming. That night she keeps on going, she keeps on, after a few days she keeps on going, but this time she looses her cool and it seems like she’s straining herself at this point. During one of Neji’s attacks, she over does it and quickly falls down, Neji wonders what has happened and calls for the doctors. The doctor tells Neji that she’s strained her eyes, it would take sometime for her eyes to be fine but she’ll be fine. Next day, Neji meets with Naruto and Sakura, they ask where Hinata is, he doesn’t give them any information on where she is. Naruto mentions that they’ll just go to her house. Neji slips out that she’s currently recuperating, Sakura unfortunately mentions that she won’t be able to see the fireworks. Neji doesn’t seem to show any interest on her going with them. Hinata keeps on moving around the house, while Neji silently helps her out, she asks if there is anyone there, he doesn’t respond and it seems like Hinata is talking to herself. The doctors check her and it seems like it’s going to take a bit more time. 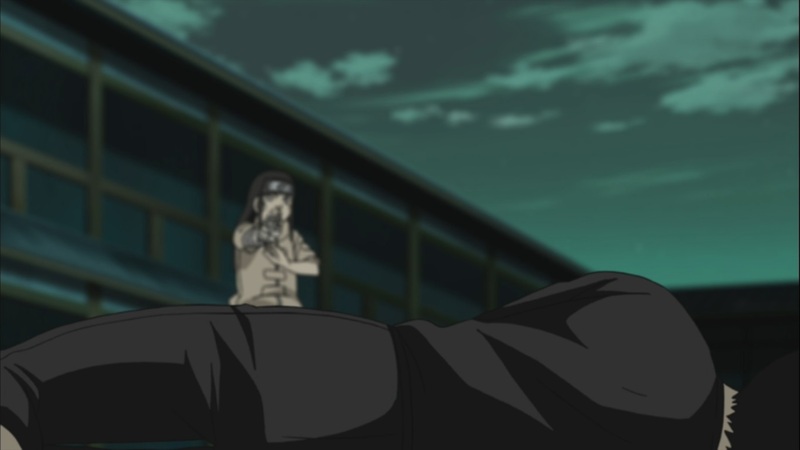 Neji chases the doctors up, while Sakura and Naruto snoop on him. He mentions if there is anything they can do to help with Hinata’s eyes, as she needs to go to see the fireworks. The doctor mentions that if they can get some Eyebright then maybe, it’s only available at the Valley of Judgement. Naruto and Sakura stand at the door to get out. Neji arrives, they mention that they overheard Neji talking about getting the Eyebright. They quickly start follow him, they arrive at the valley, he mentions that he wants to out first to see what’s down there. Naruto gets a red string and attached himself to Sakura. Neji notices something down there, he’s quickly attacked from the things in the mist. Sakura and Naruto notice that they’re in danger, Neji comes and saves them, he cuts the rope and tells him to find his destiny with his own, not with something else like a sting. 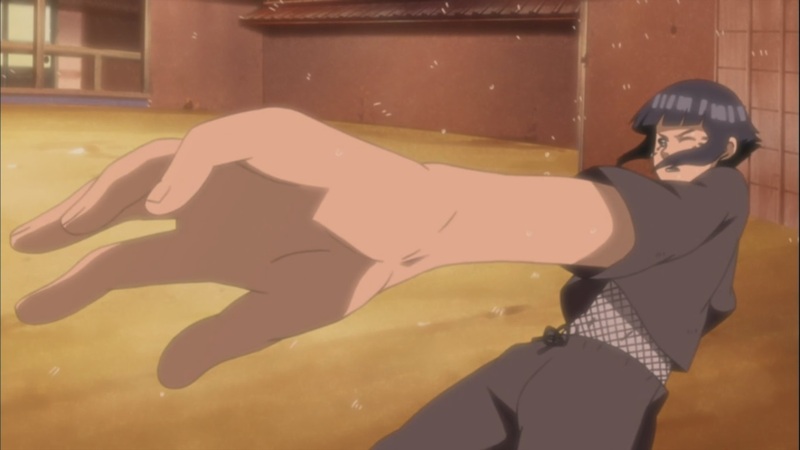 They’re quickly attacked, Naruto fly’s and hits a member, they notice something very particular about the people there. 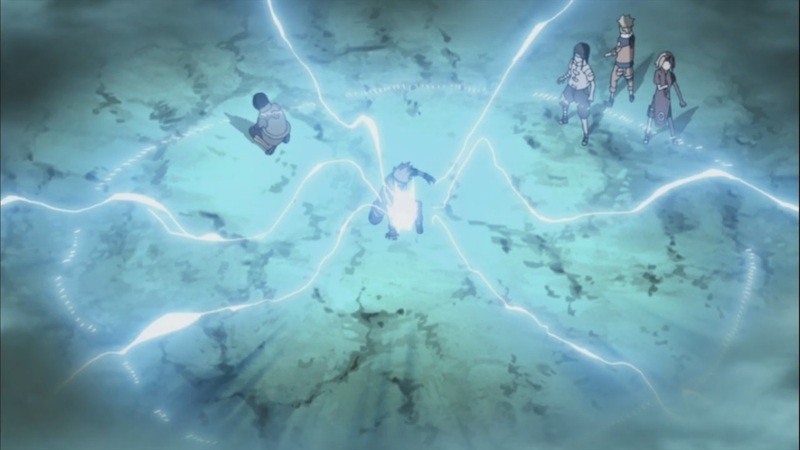 Out of nowhere appears Guy, he uses his Hurricane Whirlwind to remove from mist then Kakashi shows up to light it up a little. They both mentions that they heard someone was looking for the Eyebright, they thought it could have been Orochimaru as he had interest in eye techniques. Unfortunately Kakashi tells Neji that it’s impossible for them to get the Eyebright as the people living there will possibly fight back, plus the way they are is totally different. They didn’t have any eyes, thus they could be using other methods of sensing things. Unfortunately Neji’s doesn’t obtain anything from them, they quickly get out of there and it seems that Hinata will have to wait a week. On the day, everyone dresses up and they seem to be having a good time, the fireworks begins, everyone watches. Unfortunately Hinata doesn’t have her eyes yet, but she can hear them. We return to the battle where Hinata tells Neji that Naruto and Sakura had told her about what he did, thus she wants to tell him one thing, which is for her to thank him. Hinata then mentions that this is nothing compared to what she had gone through. 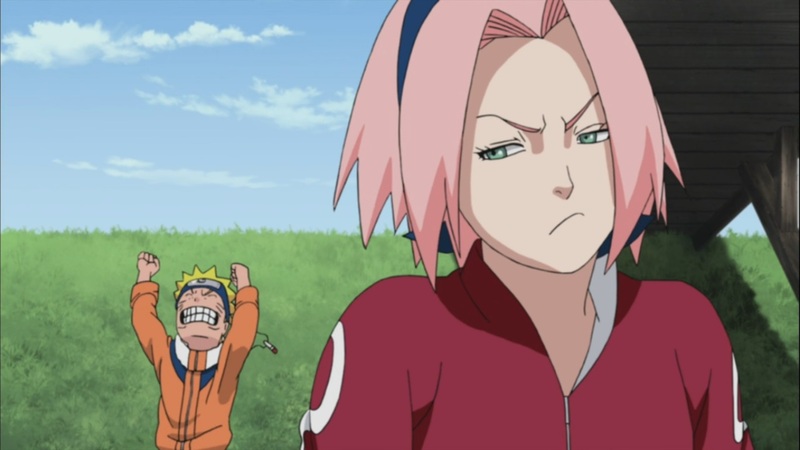 Plus she waits for Naruto’s arrival onto their battleground to help them. Naruto Shippuden 306 ends here. A good and not very related to the current series episode. Although it was something related to Naruto and Hinata, and their childhood, it was a somewhat good episode. 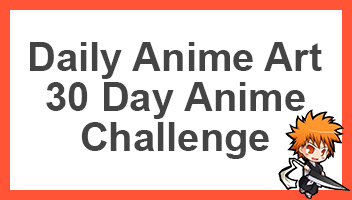 Hopefully it picks up during next week’s Naruto Shippuden 307, titled “Fade into the Moonlight”, when we return to the battle with a specialist is resurrected, it’s not part of the manga, thus a filler. They’re coming out with ideas for episodes out of their asses! 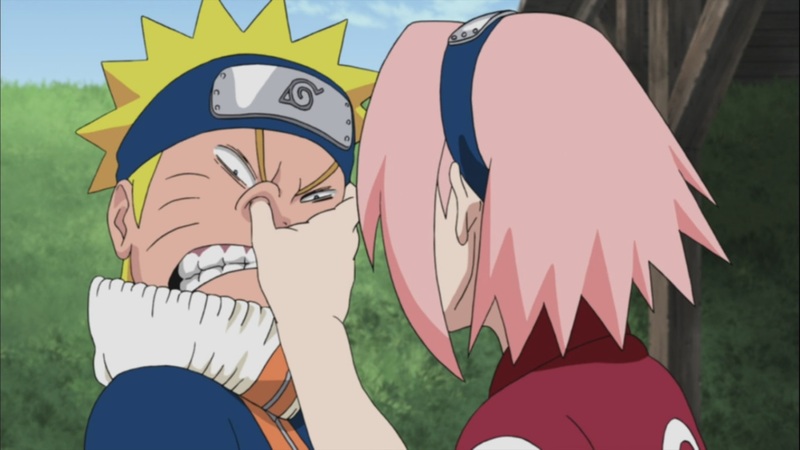 Although It was nice seeing some really stupid stuff come out from Naruto’s mouth, like all the dating and all of that crap about loving sakura..